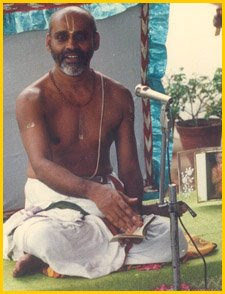 Guru is Bramha. Guru is Vishnu himself. Guru is nevertheless Rudra too. The Guru is parabramhan. It is known to the world that Bramha creates, Vishnu protects, and Rudra destroys. The Guru bears similarity to all the three. He is the destructor of ignorance. The Guru thus imparts wisdom and to top it all he protects such wisdom. Hence he takes up the role of the creator, the protector and the destructor. This is the reason why the guru is extolled as Bramha, Vishnu and Rudhra.